“American craftsmanship” is synonymous with the Viking brand of pool cues and accessories. At PoolDawg, we’re proud to carry a wide selection of cues from this trusted brand. Viking pool cues have been handcrafted in America since 1965 — yes, they’re 100 percent made in the U.S. — but we’re fans of the brand for more than patriotic reasons. So while we may feel like belting out “The Star-Spangled Banner,” we’ll also sing the praises of the precision that Viking puts into its cues in pursuit of legendary performance. Using proprietary manufacturing methods, Viking designs pool cues with structural integrity, straightness and playability. Viking cue sticks feature unique ferrules and pro tapered shafts to promote greater cue ball control and shot accuracy. The inlays and style give these cues a classic look, and they also use a 27-step finishing process so Viking billiards cues can sport that glass-like appearance for which they’re known. With all of the attention that goes into manufacturing, it’s no wonder that every Viking pool cue features a limited lifetime warranty — even against warping! Viking Cues was launched in the basement of a poolroom in Stoughton, Wisconsin, in the 1960s. Today, a state-of-the-art facility built in 2013 reflects a renewed focus on innovation, quality and craftsmanship. The result is a line of affordable, top-quality cues and accessories. At PoolDawg, we carry a selection of dozens of Viking pool cues in a mix of traditional styles and vibrant colors. These cues feature the Viking SUPER ferrules that are the strongest in the industry. They are guaranteed not to stain, crack or burn — they’re built to last. Viking cues also feature a proprietary quick-release joint. To protect your prized Viking cue during transport, we carry an important Viking accessory: a joint protector set that will prevent your cue from being damaged. League and competitive players, and those who just want to stock a high-end game room with high-quality Viking cues, will find something to suit their liking here at PoolDawg. Our bestselling Viking cues include the VIKP, VIKC, VIK862, VIK681 and VIK228. When it comes to Viking, pool cue prices are also a consideration; that’s why there’s value built in. Cues with a manufacturer’s suggested retail price under $299 come with the V Pro shaft, and those over $300 feature the ViKORE shaft. Other Viking shafts such as the eXactShot Pure Performance Shaft can be special ordered. Call us for details. 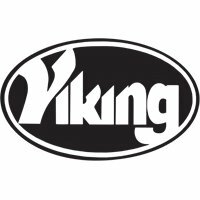 Every Viking cue qualifies for free ground shipping in the United States! Need a question answered, or ready to place an order? Contact us today.